Melissa's Mochas, Mysteries and Meows: Meowy Christmas!!! Merry Christmas Truffles and Melissa. Merry Christmas Truffles and Mom Melissa! Meowy Christmas! Hope it's purr-fect! 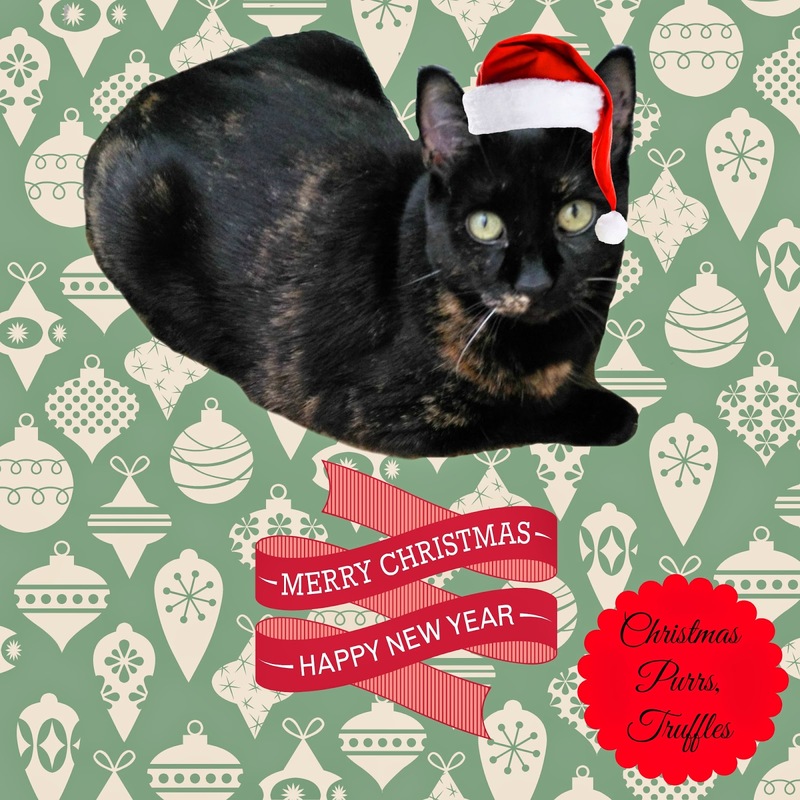 Merry Christmas, Melissa and Truffles, from Allegra, Ruby and me! Merry Christmas Melissa & Truffles! Merry Christmas, Melissa and Truffles! We hope you and your mom have a wonderful Christmas, Truffles! Merry Christmas to you and your Family!! We miss Jewel, too!! Wishing you a wondrous and peaceful holiday! Wish you a Merry Meowmy CATmas ! Wishing you a Merry New York Christmas! PS: I hope Truffles loves her nip/vine truffles as much as I loved mine. I went completely NUTZ! How cute you look Truffles- Merry Christmas! Merry Christmas to you, Truffle and Melissa! We are so grateful for you. Much love! Truffles your card is wonderful! Hope you and your Mom had a Very Merry Christmas!!!! We hope you had a really nice time with the family - making cherished memories. Purring that 2015 is SO much better all around!